Our chapter is now a federally recognized 501(c)(3) organization. We accept donations for the Society and scholarship operations. By donating you will receive a confirmation letter as they can be written off your taxes. 1 Ladies and gentlemen who bear, or assume as surname, one or the other of the names of the Clan (Gregor Septs - Section A), in whichever manner such name is spelled. 2 Ladies of the Clan by birth or adoption who, before marriage, bore one of the names of the Clan (Gregor Septs - Section B ). 3 Ladies and gentlemen who do not bear one of the names of the Clan (Gregor Septs - Section C) but one of those ancestors was a member of Clan Gregor. 4 Ladies and gentlemen who do not meet any of the qualifications set forth above but who are connected with or friendly to the Clan or the Society or any of its Chapters or Branches or who make donations to or in other ways donate services for the Clan or Society or any of its Chapters or Branches may be elected Honorary Members on the decision of Council but they shall not be entitled to take part in the deliberations of the Society or Chapter or Branch or management of its affairs. 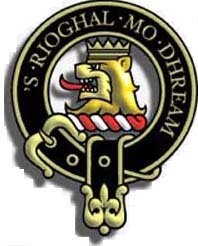 For an application to the Pacific Northwest Clan Gregor contact: Cheryl Moore, Membership Chairman.